During the middle ages people believed in strange creatures, and thought even stranger things about real animals. Animals such as the Phoenix, which was said to be a bird which lived for five-hundred to six-hundred years until it cremated itself so to rise again and be young and new, and the Basilisk which was a man-eating lizard, also they believed in the feared Hippogriff with the head of an eagle and body of a horse, and lastly the famous unicorn with the sought after twisted horn. Enlightenment biologists like Jean Antione Baptiste Pierre de Lamarck set out to understand and prove or disprove the existence of these animals and to show that leopards did not have a beautiful perfume and swans do not let out a beautiful song before their death. 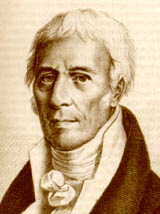 Lamarck first headed into the field of botany, lead by the famous botanist Jean Rousseau. Lamarck soon was known as the Carl Linnaeus of Sweden, and so was assigned to be the caretaker of the Royal Garden. Lamarck was well-known in botany, but another field needed more attention the field of invertebrates. Lamarck did not know much about animals and was quite shocked when he was recommended to this field. He soon made himself as familiar with animals as he was with plants. His study of invertebrates quickly open many biology related doors for Lamarck and he decided he wanted study primitive animal life. 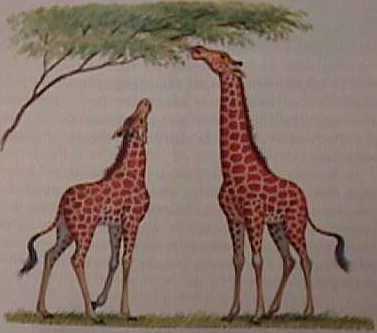 For the following eight years Lamarck devoted a lot of time studying these primitive wonders. He then wrote two volumes of books related to these animals. "Formally it was supposed that each species was immutable, as old as Nature, and that she caused it's special creation by the Supreme Author of which all exists..."
"...A great many facts teach us that gradually as the individuals of one of our species change their situation, climate, mode of life, or habits, they thus receive influences which gradually change the consistence and the proportions of their parts, their form, their faculties, even their organization; so that all of them participate eventually in changes which they have undergone. In the same climate very different situations and exposures at first cause simple variations in the individuals which are found exposed there; but as time goes on the continual differences of situation of individuals of which I have spoken, which live and successfully reproduce in the same circumstances, give rise among them to differences which are, in some degree, essential to their being, in such a way that at the end of many successive generations these individuals, which originally belonged to another species, are at the end transformed into a new species, distinct from the other..."
"...Thus we are assured that that which is taken for species among living bodies, and that all the specific differences which distinguish these natural productions, have no absolute stability, but that they enjoy a relative stability; which it is very important to consider in order to fix the limits which we must establish in the determination of that which we must call species." 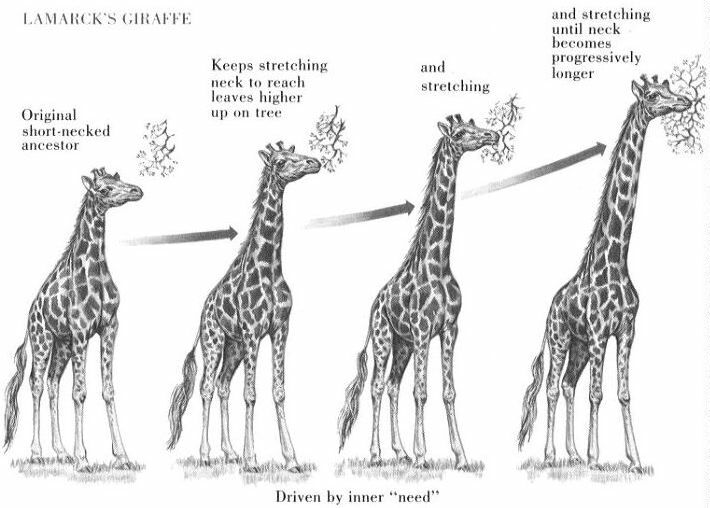 "...Lamarck was the first man whose conclusions on the subject (Evolution and natural selection) excited much attention..."
The book by Darwin also explained what Lamarck thought and showed that he believed in the "Law of Progression" and the "Change of Existence". Today, many of Lamarck's specific ideas have been proven not true as the science of genetics developed. But Lamarck worked up the basic stepping stones for which Darwin used and which scientists believe to be true.